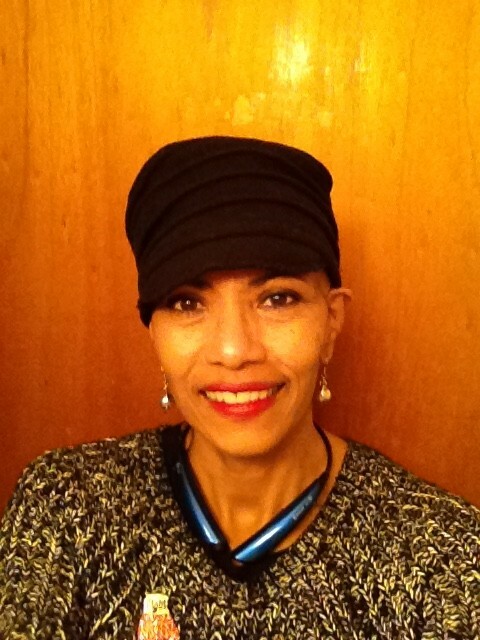 Recently, Mimi, a 51 year old breast cancer survivor with no insurance at the time, had symptoms and needed diagnostic breast imaging and then biopsies in both breasts. Albie Aware connected with Mimi, made her testing appointments and paid for her tests. 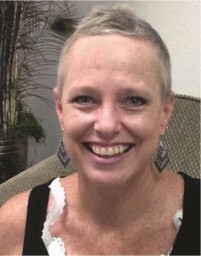 The results showed she had a recurrence of breast cancer in one breast and a new breast cancer in the other breast. Very rare. 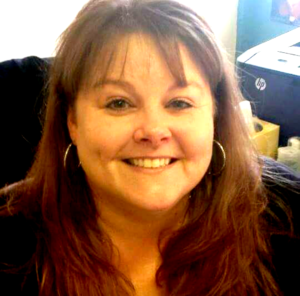 Diagnostic Testing – Albie Aware paid for the tests that found Mimi’s breast cancer had returned. Patient Advocacy – Albie Aware worked with the referring clinic to get her signed up for a Medi-Cal program to pay for her breast cancer treatment. 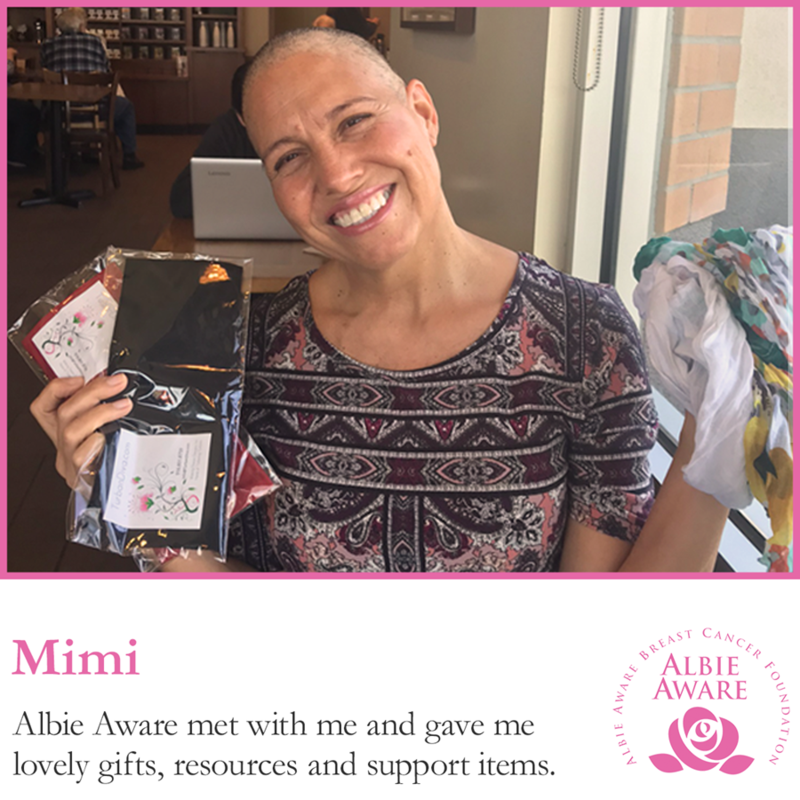 Personal Support – Albie Aware met with Mimi twice to help her understand her diagnosis, explain what to expect with treatment, provide support items – such as turban scarves, a medical drain bag, a chemo comfort bag and a gas gift card- all provided by Albie Aware partners. 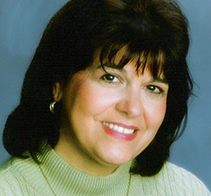 Resource Referrals – Mimi was also given referrals to various resources such as the perfect wig store where she would be treated with dignity and sensitivity. 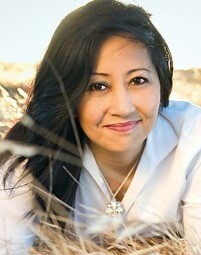 Mimi is doing well and is deeply grateful to all our supporters. Thank you to our Albie Aware Family of Supporters!